Scream Factory udgiver Zack Snyders Dawn of the Dead fra 2004. Yesterday we announced George A Romero’s Land of the Dead and today we bring you even more zombie action in the form of Zack Snyder’s thrilling 2004 remake of DAWN OF THE DEAD! - The newly-commissioned front-facing artwork you see pictured comes to us from Nathanael Marsh (Carrie, The John Carpenter steelbooks). The reverse side of the wrap will showcase the original theatrical poster art design. - Bonus features & specs are still in progress and will be announced sometime in Sept but we can confirm today that this will be a 2-disc set and will sport new extras (including interviews with Ty Burrell, James Gunn, Jake Webber, David Anderson & Heather Langenkamp Anderson) plus the theatrical and unrated versions of the film. 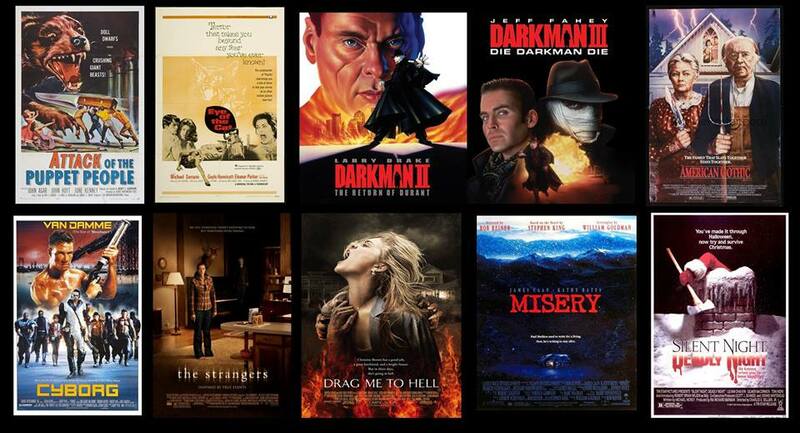 Misery "will feature a new 4K film transfer and will have a new interview with director Rob Reiner". 28. november. Scream Factory løfter lidt af sløret for den kommende Drag Me to Hell-udgivelse. At Comic-Con this year we announced that a new Collector’s Edition of Sam Raimi’s 2009 rollercoaster-of-a-film would be coming soon from us and today we have some more exciting information on it to share with you today! • Official street date is February 13th, 2018 for U.S. and Canada territories (Region A). • The newly-commissioned artwork pictured comes to us from the CRP Group (Firestarter, Rabid, Species). This art will be front-facing and the reverse side of the wrap will the original theatrical poster art design. On Halloween we announced that the clever cult favorite from 2006 would be coming soon from us in a new souped-up release and we have exciting information on it to share with you today! • Official street date is March 27th. 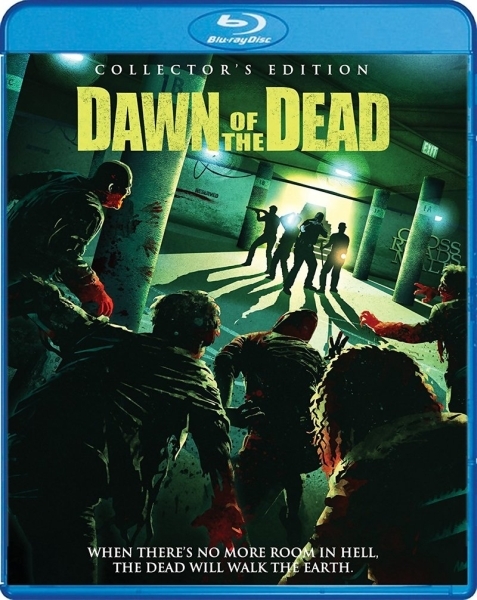 It will be branded as a “Collector’s Edition” that will come with a slipcover (guaranteed for three months after its original release date). U.S. and Canada territories (Region A). • The newly-commissioned artwork pictured comes to us from the Joel Robinson (Misery, Silent Night Deadly Night, Tales from the Hood). This art will be front-facing and the reverse side of the wrap will be the original theatrical poster design. • Extras and specs are still in progress and will be announced at a later date. However, we can confirm today that we will be doing a brand new film transfer and will be porting over all the added value that was on the prior DVD release. At Comic-Con this year we announced that a 10th anniversary Blu-ray of the home-invasion blockbuster would be coming soon from us and we have some more exciting information on it to share with you today! • Official street date is March 6th, 2018--just ahead of the next film Strangers: They Prey at Night, which opens up in theaters on March 9th. • This is a 2-Disc set that will contain both the theatrical and unrated versions of the film. It will be branded as a “Collector’s Edition” that will come with a slipcover (guaranteed for three months after its original release date). U.S. and Canada territories (Region A). When three tourists stop at a roadside diner, they become the unwitting victims of a lethal scientific experiment in NIGHTMARE AT NOON — which releases on Blu-ray for the first time and features a new HD transfer! Directed by Nico Mastorakis (The Zero Boys), this entertaining thriller includes a B-Movie all-star cast featuring Wings Hauser (Vice Squad), Bo Hopkins (Mutant), George Kennedy (Airport ‘77), Brion James (Blade Runner) and Kimberly Beck (Friday the 13th: The Final Chapter). National street date is March 20th. However, you can pre-order now directly through us @ https://www.shoutfactory.com/product/ni ... ct_id=6518 to have the item ship two weeks early! Senest rettet af ImpulzE tors dec 07, 2017 14:11, rettet i alt 1 gang. 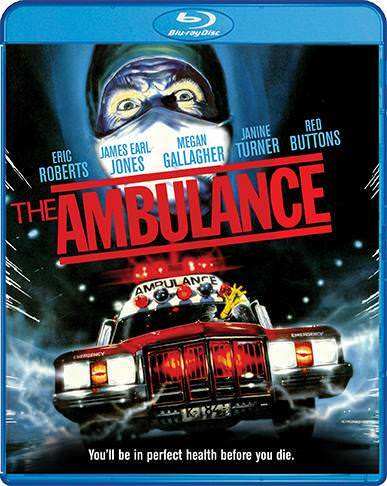 The 1990 thriller THE AMBULANCE drives onto Blu-ray for the first time next year and features an all-new HD transfer! One minute Josh Baker (Eric Roberts, The Dark Knight) is meeting the woman of his dreams. The next, he's watching her whisked away by a mysterious ambulance that never arrives at the local hospital. Doubted by the police, Josh is forced to carry on a one-man crusade that leads to a discovery more frightening than his worst fears. This non-stop ride filled with action, suspense and heart-stopping thrills comes from cult filmmaker Larry Cohen (The Stuff, It's Alive, Q: The Winged Serpent) and features an all-star cast including James Earl Jones (the Star Wars films), Red Buttons (The Poseidon Adventure) and Stan Lee! Extras are in progress and national street date is March 13th. However, you can pre-order now directly through us @ https://www.shoutfactory.com/product/th ... ct_id=6628 to have the item ship two weeks early! Senest rettet af ImpulzE tors dec 07, 2017 14:12, rettet i alt 1 gang. He's a 400-year-old virgin who wants to rock and roll all night! 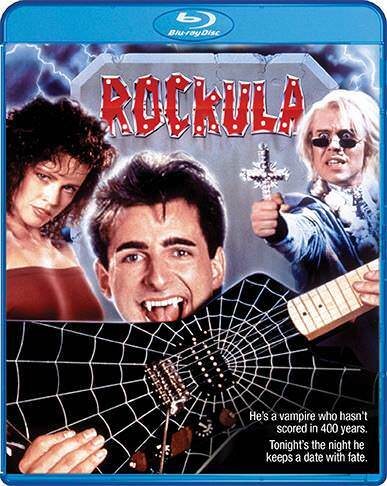 The 1990 horror-comedy ROCKULA sinks its fangs onto Blu-ray for the first time next Spring and features an all-new HD transfer! Extras are in progress and national street date is March 20th. However, you can pre-order now directly through us @ https://www.shoutfactory.com/product/ro ... ct_id=6629 to have the item ship two weeks early! After our reveal of Rockula earlier today we have ever more vampire action to present. The Italian-produced FANGS OF THE LIVING DEAD is planned for release on Blu-ray next Spring! National street date is March 6th. However, you can pre-order now directly through us @ https://www.shoutfactory.com/product/fa ... ct_id=6625 to have the item ship two weeks early! This Scream Factory Blu-ray delivers an impressive-looking transfer with a wealth of detail. Yeah from the little bit i watched today it looked really clean. I don't believe this has undergone any major restoration either, and I must admit, I'm a bit surprised a 50-year-old film that likely wasn't exactly on anyone's radar looks this good. Watched last night and it looked amazing. looks great from what I've seen.